Jussie Smollett exited the Leighton Criminal Court Building a free man Tuesday morning after prosecutors unexpectedly dropped felony charges against him in a case that’s garnered national headlines for months. Cook County prosecutors made the announcement less than two weeks after the “Empire” star pleaded not guilty to more than a dozen new felony counts stemming from an alleged hoax attack he allegedly orchestrated on himself. The stunning move came in an emergency hearing held Tuesday morning. Smollett, 36, had faced 17 felony disorderly conduct charges after what had been described as a racist and homophobic attack that the actor was accused of staging in order to advance his career. Smollett will forfeit the $10,000 bond he paid last month to leave jail. The case was then placed under immediate seal. Smollett allegedly told detectives the attackers also yelled that he was in “MAGA country” in reference to President Donald Trump’s “Make America Great Again” campaign slogan. Police alleged Smollett paid two brothers $3,500 to stage the attack. Chicago Police Superintendent Eddie Johnson said Smollett orchestrated the hoax because he was upset with his current salary on the hit television series. Following his arrest, he was written out of the final episodes of the show’s latest season. “We believe this outcome is a just disposition and appropriate resolution to this case,” Foxx’s office said. Video: Mayor Rahm Emanuel and Chicago Police Superintendent Eddie Johnson speak after charges against Jussie Smollett were dropped. Foxx had previously recused herself from the prosecution, turning the case over to First Assistant State’s Attorney Joseph Magats, in a decision that earned her a rebuke from her predecessor Anita Alvarez and others, including the Chicago Fraternal Order of Police, which asked the Justice Department to investigate whether Foxx interfered with the investigation. 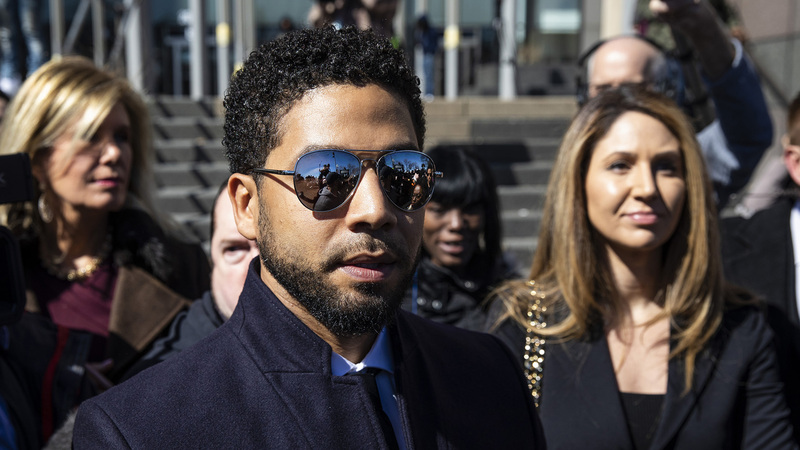 The case was handled through an “alternative prosecution,” according to a statement from Foxx’s office – a decision they say is “not new or unusual” and does not “exonerate” Smollett as his defense team had posited. The state’s attorney’s office says it has referred more than 5,700 defendants for alternative prosecutions over the last two years, which often include defendants with no violent criminal past or previous felony convictions. Smollett was required to finish 16 hours of community service before the case was dismissed. Magats said he still believes Smollett is guilty of the crimes he was charged with and stands behind the police department’s investigation. While he dismissed the mayor’s “whitewash” statement, Magats said he understands why some people may be upset with Tuesday’s outcome. Video: Matt Masterson interviews First Assistant State’s Attorney Joseph Magats about the case. Magats said he had contact with the police department throughout the case, but didn’t inform them of his decision to drop the charges until Tuesday morning. He hopes that won’t impact his office’s working relationship with the department moving forward. Smollett’s attorneys Tina Glandian and Patricia Brown Holmes maintain that he was the victim of an attack. They say he is “relieved” by the prosecutor’s decision “and is very much looking forward to getting back to focusing on his family, friends and career."